Last edited by Philippe on Tue May 23, 2017 6:22 pm, edited 1 time in total. 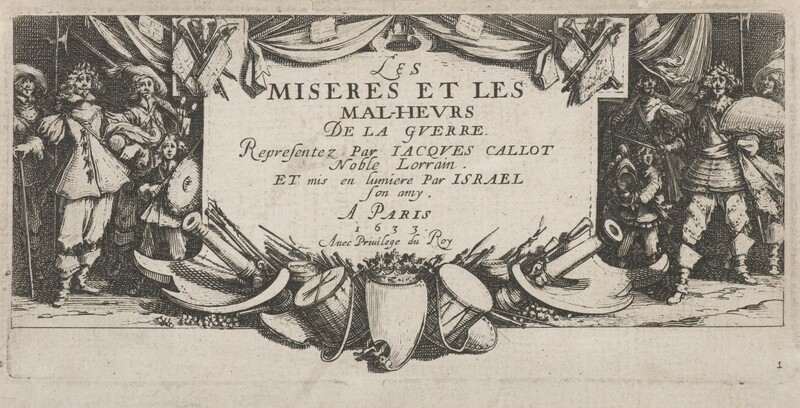 For those wanting to look them up, these are the famous engravings by Jacques Callot titled Les Grandes Misères de la guerre, or "The Great Miseries of War." It is fitting that right after Plate 17, the second-to-last plate which shows desperate peasants murdering some soldiers who were separated from their unit, Callot added the final plate in which the generals are awarded for their valor. Here is a much more in-depth explanation from a scholarly journal. (Same thread, but the Matrix forum allows for larger graphics). I guess that's the kind of horrors hidden behind a "pillaged" marker on a region in TYW! !